The Pearson Eyecare Group is proud to provide the new Clarifye! As our eye doctor can explain during your next eye exam, this multi-faceted advanced technology provides the most accurate, patient-friendly eye exam. 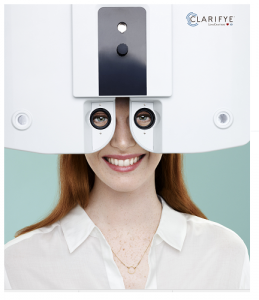 Designed to be integrated with Lenscrafters Accufit system and digitally created eyeglass prescriptions, this new advanced eye care is extraordinary.